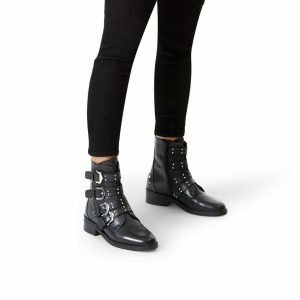 So I’ve torn myself away from dissecting the Brexit agreement and the last chapter of Ulysses to bring you my favourite biker boots across the price points. 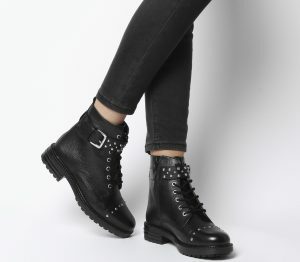 You get a lot for £89 with this style as they include buckles, studs and metal eyelets for the laces! They sit neatly on the ankle too which is flattering and great for elongating legs. These are the perfect style if you are not a fan of chunky boots. They have all the sass of biker’s but are slightly more refined. These are going to hurt the bank balance considerably. 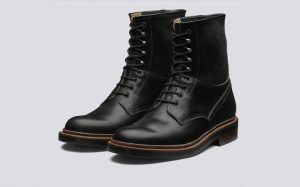 In defence of the high price, I have to say that they are completely manufactured in England by a company that has been making shoes since 1866. They even made shoes for soldiers in The Great War. If the task of updating your wardrobe seems like hard work, let me take the stress out of it for you. Please get in touch today to find out how our styling services will help you achieve a stylish, decluttered wardrobe that you feel fabulous in! Previous Post: « Party Wear Outfit Ideas That Won’t Break The Bank!